Abstract—This paper presents lossless compression algorithm to minimize the power consumption of the wireless sensor network (WSN). The sensor and receiver node consumes more power when transmission of data is taking place. In addition, huge data are processed in the network which also consumes energy. The main contribution of this paper is to prolong the battery life of the sensors by using compressive sensing to lessen the transmission activity and data processing. CS is a lossless data compression technique that is used to represent the signals into sparse, linear encoding and transformation matrix, and sparse recovery. Discrete Fourier transform is used to get the nonzero coefficient of the signals. L1 minimization is used to recover the signal into its original form. Index Terms—Compressive sensing, data compression, discrete fourier transform, L1 minimization, WSN. Jocelyn Flores Villaverde, Wen-Yaw Chung, Shih-Lun Chen are with Chung Yuan Christina University, Zhongli, Taiwan R. O. C.
Jocelyn Flores Villaverde is also with the School of Electrical, Electronics and Computer Engineering, Mapua Institute of Technology, Manila, Philippines. 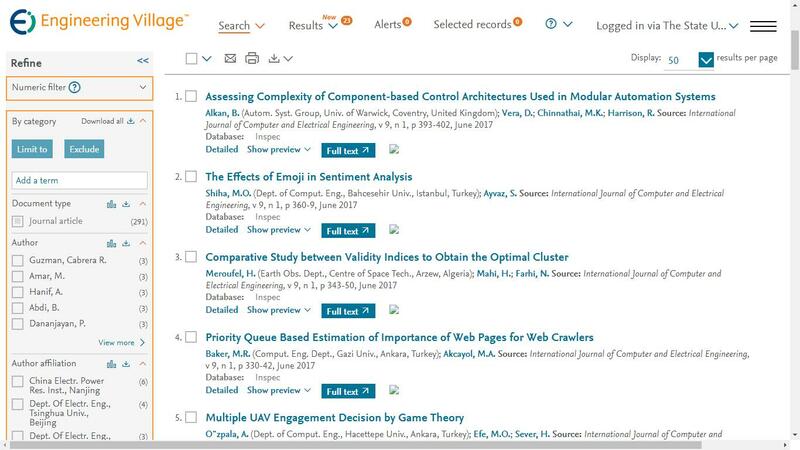 Cite:Jocelyn Flores Villaverde, Wen-Yaw Chung, Shih-Lun Chen, "Compressive Sensing Algorithm for Wireless Sensor Network Power Management," International Journal of Computer and Electrical Engineering vol. 7, no. 3, pp. 199-205, 2015.